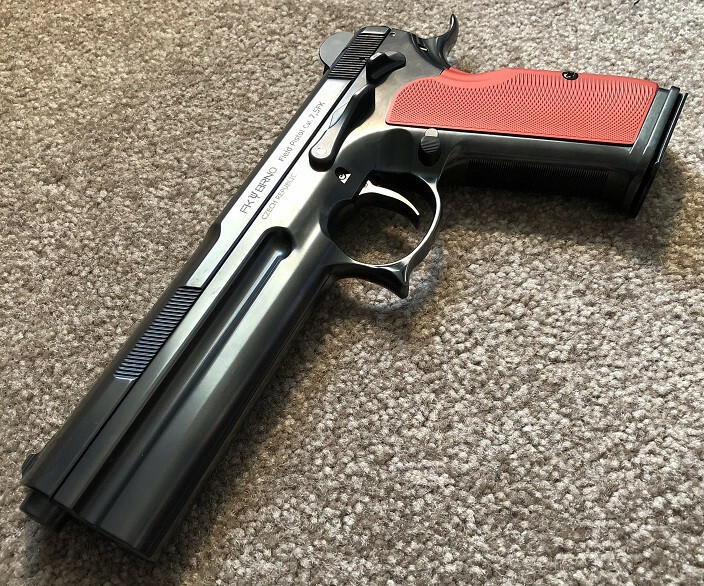 I picked up my BRNO pistol last week. This gun is extremely impressive in every way. 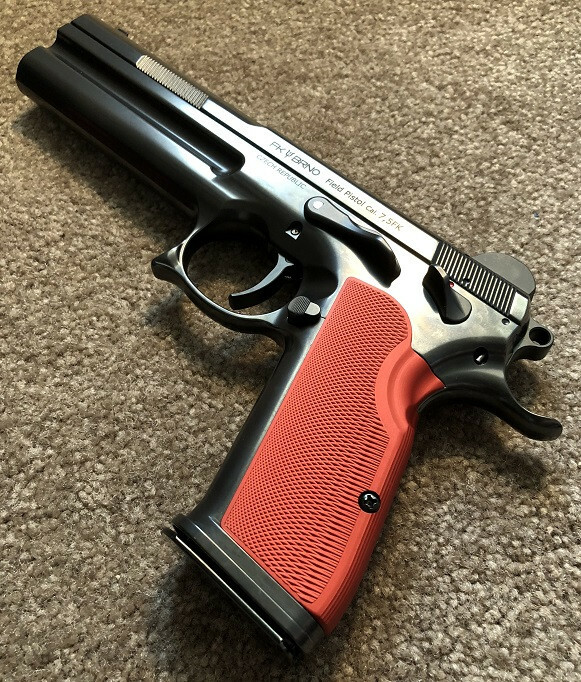 In short, the BRNO is heavily based on the tried and true CZ design from the mid 1970’s. However, it is modified to handle a much more powerful cartridge, producing 900-950 ft/lbs of energy. 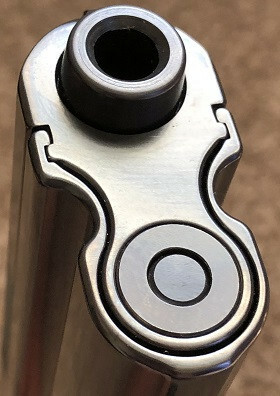 The heavy recoil spring, along with a 5oz weight is positioned well below the barrel to keep the recoil impulse low and lessen muzzle rise. The design is SAO, with no ambidextrous controls whatsoever. Opening up the very sturdy case and you will find the gun, two 16 round magazines, an extra (heavier) recoil spring, an extra set of sights (3-dot), and a very nice full color owner’s manual. As you can imagine, everything is packaged extremely well. Even the cardboard outer case seems well done. The case is also serial numbered to the gun, which is a nice touch. 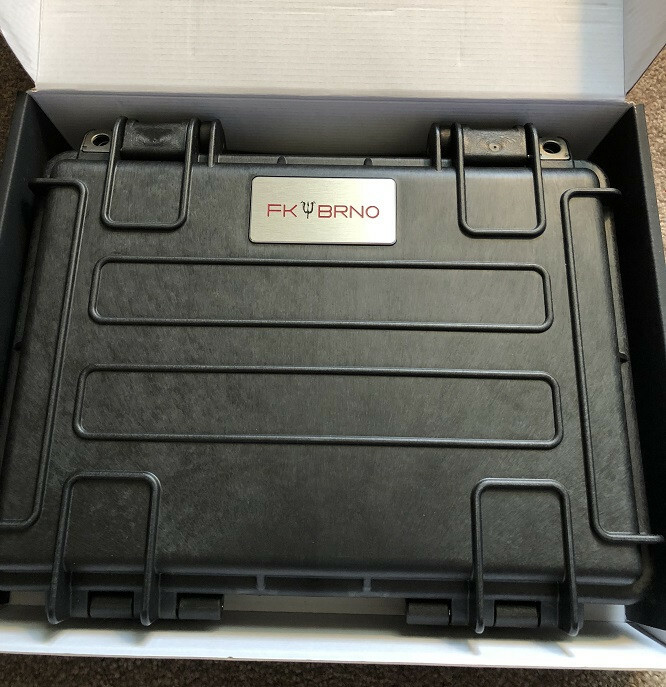 The FK ships with a box of ammo. As for the pistol itself, I must say that I’m quite highly impressed in every way. Build quality appears impeccable. The refinement and fit and finish is top notch. 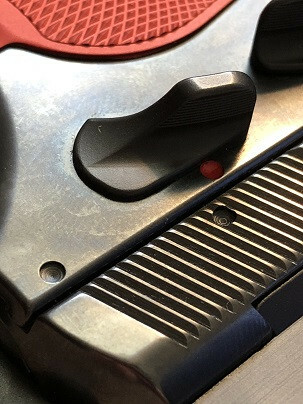 There isn’t a machine mark anywhere on the gun inside or out. The entire pistol has a “melted” appearance and everything is nicely rounded without a hint of a sharp edge to be found anywhere. The aluminum G10 grips are like artwork and also fit the pistol incredibly well. The finish is called "dark gray nitration'. 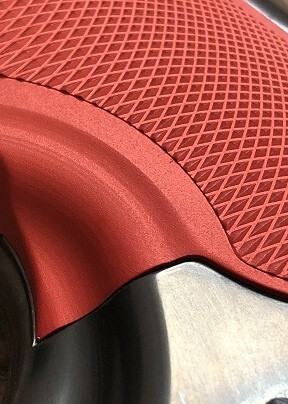 I’m not exactly sure what that means, but it looks flawlessly beautiful and is supposedly very durable as well. It looks not unlike a really nice bluing from years past. It’s really impressive. Even the roll marks are done with the utmost care and precision. 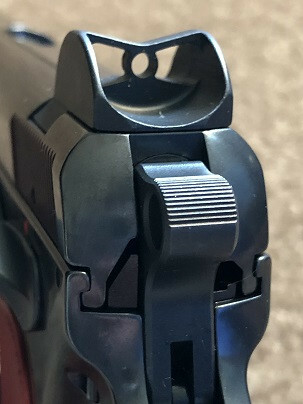 The slide rides inside the frame like its on ball bearings and it locks up extremely tight, which is not surprising considering the pistol’s accuracy prowess. The slide release is extended and easy to operate. The thumb safety is perfectly weighted with a very positive feel. The beavertail completes the FK’s outstanding ergonomics. 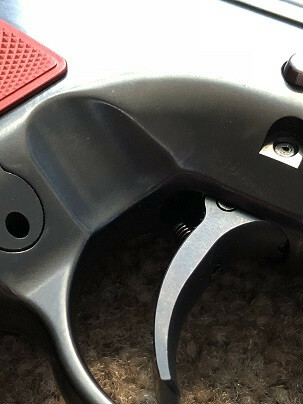 The front of the trigger guard and the front strap are both finely serrated. 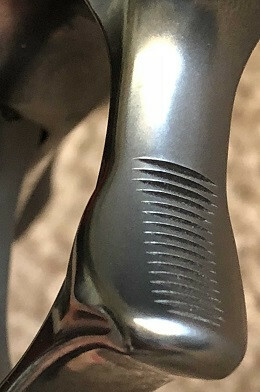 The bottom of the grip frame is flared into a small magwell. The standard rear sight is called a butterfly, which is very different from anything else I own (see picture). 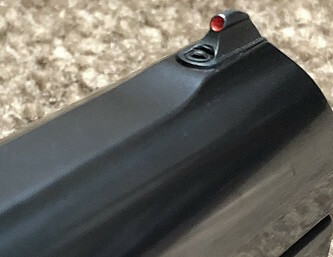 The front sight is a super small red dot. It was designed small to not block targets 200 yards away. 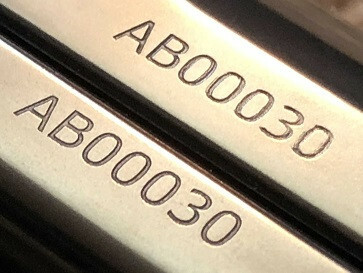 As mentioned above, it also ships with a set of 3-dots. The gun’s heft is readily apparent as soon as you pick it up. It weighs 51oz empty, making it one of my heaviest semi autos. Between the large size, the muzzle weight, and its all-steel construction, that’s to be expected. This is welcome for me because I love heavy pistols at the range. The trigger is good, but not great. The weight is only 3lbs, but there is a slight bit of creep after the take up, which I found disappointing. That being said, the FK wasn’t designed with target shooting as its main objective. Its meant for use in the field. I personally don’t quite get that, but it is what it is. My only other minor complaint is that the serrations on the front strap are so fine that it almost feels smooth. Coupling that with the slick finish and I’d imagine it can be hard to get good traction with sweaty hands. I will say that the serrations are so nicely done that I can get over it. 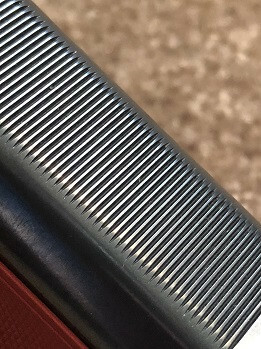 The proprietary 7.5 FK round is a scorcher. 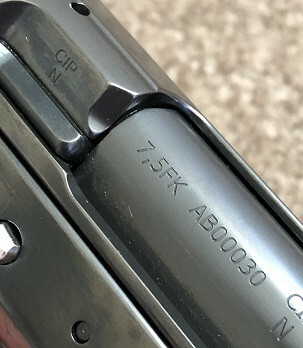 The 95 grain bullet has been chronographed at almost 2100fps. When zeroed at 100 yards, bullet drop is minimal at 200, so it’s a very flat shooting cartridge. Watching some YouTube videos of people testing the round is very entertaining. The performance is incredible and it hits like a ton of bricks. FK will be coming out with some different loadings in the future, but there is only one at this time. At $1.50 per round, it isn’t cheap either. While it looks a lot like the 7.62 Tokarev round in size and shape, it is much, much hotter (as in about double the energy). My first range session was brief, but the pistol definitely lived up to my expectations. The round is HOT. Saying it produces 900+ ft/lbs of energy doesn’t begin to describe the way it feels to shoot it. The sound and muzzle blast are really awe-inspiring, for the lack of a better term. Recoil itself is not bad, due to the gun’s weight. However, you definitely know you aren’t shooting a typical service caliber either. The power of the round is immediately evident with each trigger pull and the speed at which it hits the dirt berm at 25 yards is instantaneous. The gun feels extremely solid under fire. Nothing moves, other than the glass-like slide, which you can’t even feel. There is no noise and no rattle whatsoever. Upon fieldstripping the gun to clean it, it’s quite evident that this is no CZ or Tanfo. 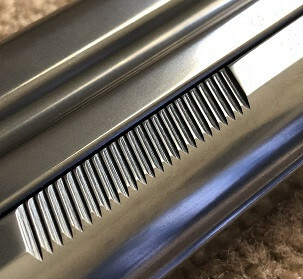 The slide glides inside the frame as smooth as a Sig P210. The attention to detail inside and outside of the entire package is breathtaking. Hell, even the rounds are beautiful to look at between the flawless brass and the high quality bullets. I do have one MAJOR shooting complaint. The butterfly rear sight just flat out doesn’t work for me. I will be switching to the traditional rear sight it comes with before I shoot it again. Other than that, I have nothing bad to say. This pistol feels world class in every way. It’s the real deal. To me, between the immense quality and capability of the gun, coupled with the amazing 7.5FK round, the package is worth the price. It’s unlike anything I’ve shot before and I've shot a lot of very cool handguns. 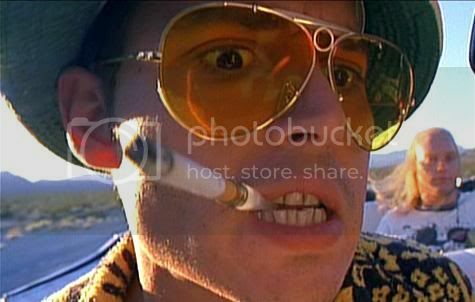 At any rate, that’s enough babbling. Have any of you had the pleasure of shooting one of these yet? 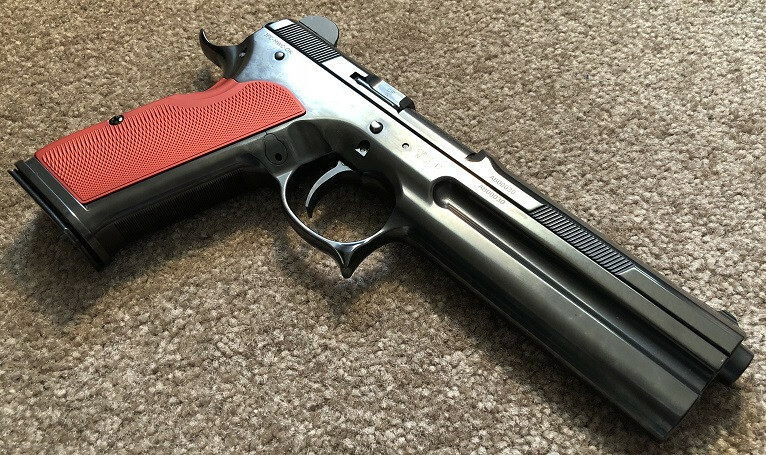 I understand BRNO wants to build 1000 of the Field Pistols and then possibly move on to a 5” model. Whether or not that’s true, I’m not sure. Perhaps the 5” model will be a bit more affordable if and when it does appear. Please enjoy the pictures. I tried my best to capture the FK's craftsmanship with my camera, but pics don't do it justice. Amazing! Thanks for sharing, bac. 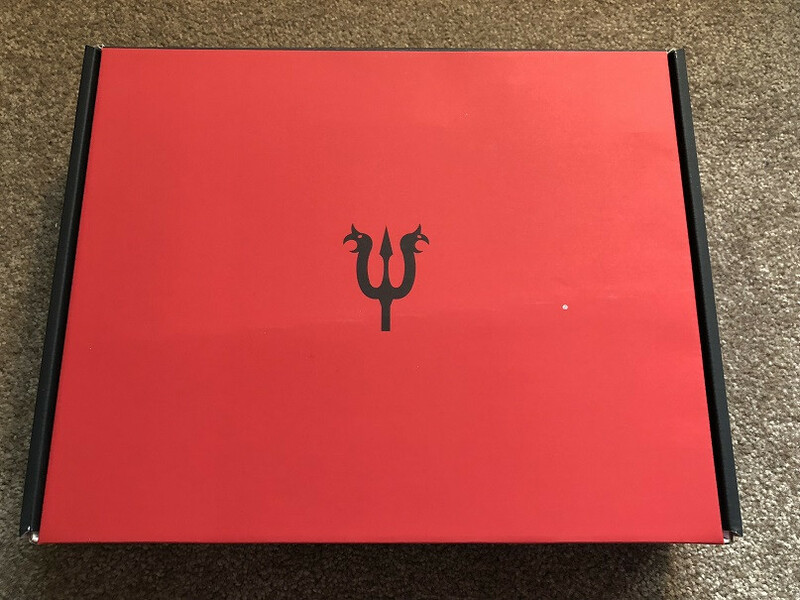 WoW someone actually pulled the trigger on 1 of these! Impressive looking for sure !! Early on, from preproduction days, I was intrigued by this pistol. When the price was announced, I gave up the idea of ever owning one. I wouldn’t know how to properly own a gun like that. What a jewel! Always a pleasure seeing the firearms in your collection. Well done. Very impressive and great write up. Thanks for sharing. I so want. I loved my Fn 5.7, this however seems to be everything the 5.7 was not. Congratulations on your purchase and thanks for taking the time to write up such a detailed review. I'm a little intrigued as to the intended role of this pistol. If you want to hunt and weight isn't an issue it's hard to beat a magnum revolver at a fraction of the cost. If you want a high capacity semi-auto that can hit man-size targets out to 100 yds it's hard to beat any 9mm with a long sight radius or RMR. If you want to shoot at 200 yds and you choose to do so with a handgun I think you planned poorly. If you're in a line of work where it's even possible that you may have to engage targets at 200 yds you have a carbine or someone in close proximity who does. 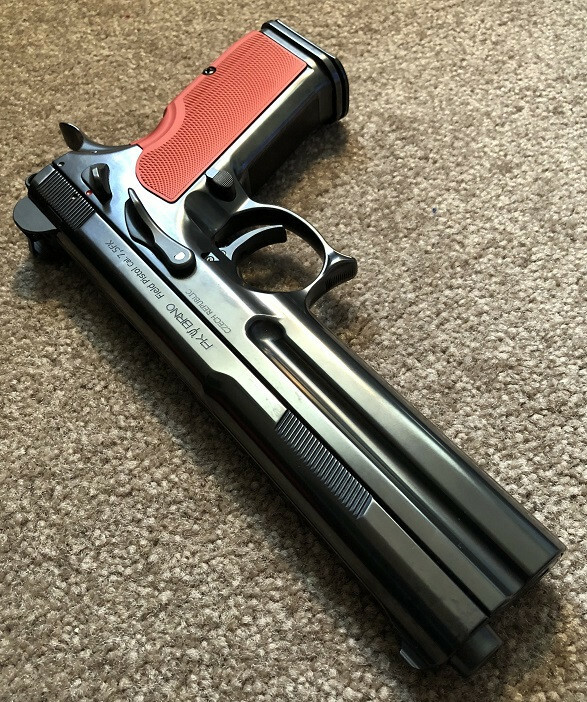 All that being said, I love beautifully crafted guns like this and wouldn't mind picking one up in the $2500 range if ammo were reasonably priced and available some day. I own a Luger, MK23, and P210s...so I get the allure of (presently) impractical works of art. Also, I find it extremely odd that somewhere in the design cycle the proposed solution of the butterfly sights wasn't abandoned as the answer to obtaining long range precision with a pistol. 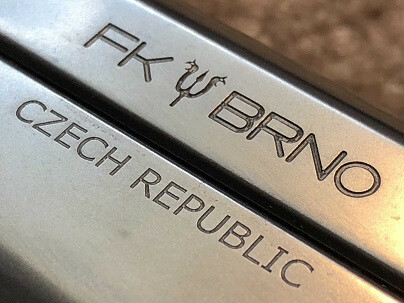 Did news of the type 2 RMR or Aimpoint Nano not make it to the Czech Republic? 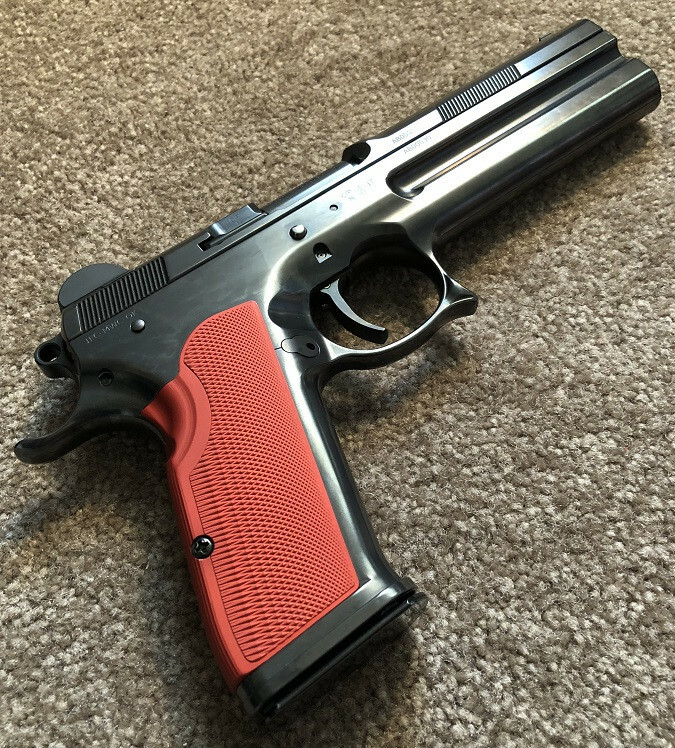 Hopefully CZ chambers the Shadow 2 in this cartridge and sells an optics ready version that's semi-affordable. I'd be curious to see how the cartridge would do without the counterweight reducing recoil. In any event, it's nice to see that Czech small arms research and development is alive and well. The recoil reduction mechanism is very interesting and reminds me of prior Czech innovation in PDW type weapons like the telescoping bolt on the VZ.26 or the rate reducer and counterweight system in Skorpion VZ.61. BAC's collection never ceases to amaze. 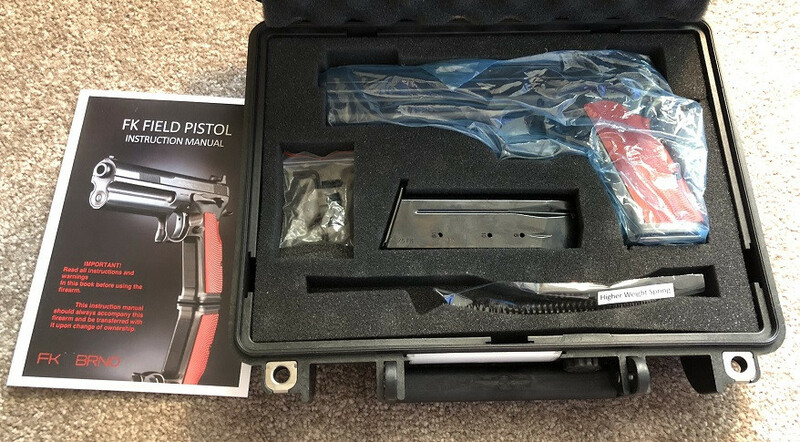 Nice pistol and thanks for sharing. Have you field stripped it yet? Just curious how easy it is to do. I'm a little intrigued as to the intended role of this pistol. 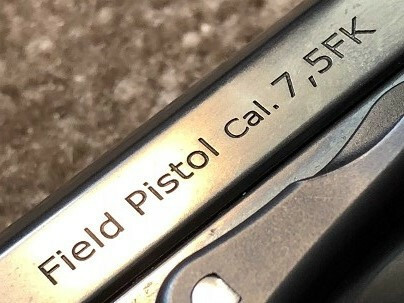 "The Field Pistol is a sporting pistol designed primarily to be used in long-range competitions, silhouette shooting, hunting, and generally any pistol shooting activity and tasks that requires the ability to engage targets at longer ranges, especially with a folding stock , such as (PSD) personal security detail, urban / suburban combat, backup (SBR) short barrel rifle, Air crew survival weapon, mechanised armour crew weapon, among other uses." That is amazing. We get to see some of the coolest firearms here. Thanks for sharing. Wow! 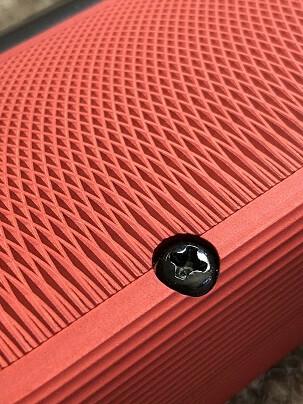 It looks very well crafted and its design is beautiful. WOW! 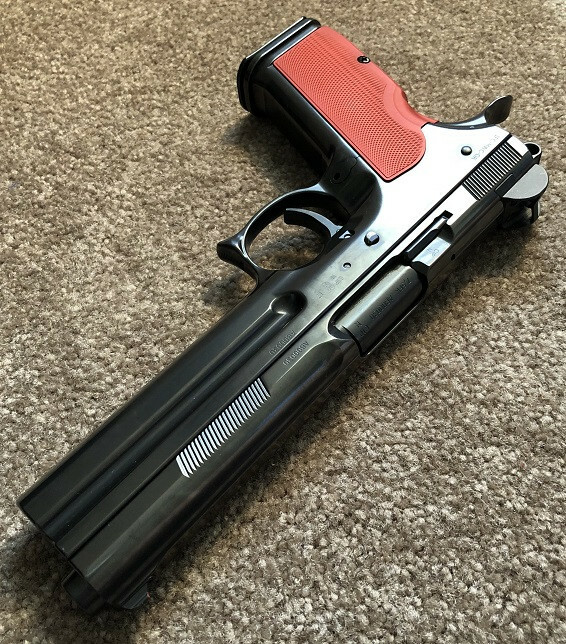 What a handsome pistol. That's a work of art!